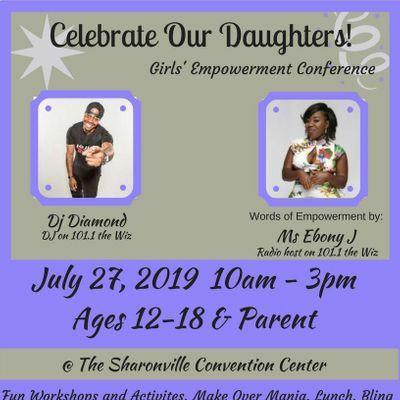 Celebrate Our Daughters: Girls Empowerment Conference will be for girls ages 12-18. The girls will have the opportunity to attend a variety of workshops, where they can get make overs, learn socially inclusive techniques they can use at school as part of the initiative to end bullying and isolation. They will also have an opportunity to hear from our guest speaker; radio personality and motivational speaker Ms. Ebony J. The girls will be served lunch and given gift bags. They will also have the opportunity to design an outfit and showcase it in a fashion show. 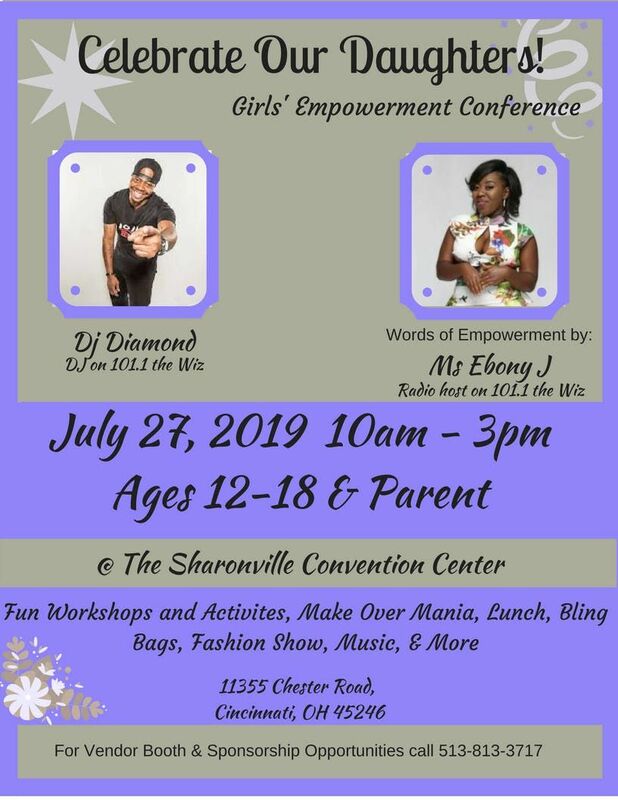 The goal of this conference is give our girls a platform to discuss issues that are important to them. We want them to feel confident that they can go out into the world and make a difference for their generation. 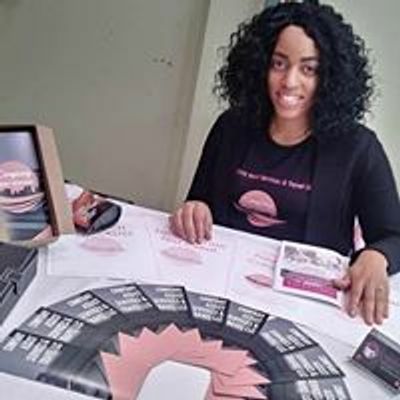 As they prepare to go into the next phase of their lives, whether it be middle school, high school or college, its important to know that they have a support system of strong girls and women who will be there for them no matter what. ​Girls who feel empowered become women who are empowered and that’s the kind of passion that we need to lead the next generation.